The entire genome of many species has now been sequenced, but the function of the majority of genes still remains unknown. This is where the International Mouse Phenotyping Consortium (IMPC) comes in, with the goal of characterising all 20,000 or so protein-coding mouse genes. To achieve this, genes are systematically inactivated then mice are put through a standardised phenotyping platform, with tests undertaken across a broad range of biological systems. The consortium is comprised of 19 research institutions, 5 national funders and 11 countries. Each centre focuses on particular genes, applies standardised tests and then records the resulting data. After this, phenotype analysis is conducted and the resulting data and statistics made freely available to the research community. As well as completing large scale comparative studies, the overall aim of the project is to create a platform for this data where researchers and clinicians can search for genes, phenotypes or diseases of interest to help them understand human biology, health and disease. There are now over 6,000 genes with mouse mutant data on an isogenic genetic background (C57BL/6N) on the IMPC website, all of which can be viewed and downloaded for free. In its initial stages the knock out lines used for IMPC were all made in ES cells by homologous recombination, all containing a lacZ reporter and many of them generating conditional mouse lines. However, as for many areas of developmental biology, new gene editing technologies, in particular CRISPR/Cas9, have condensed the process of generating knockout mouse lines. Advancements such as this have improved production and will allow all 20,000 genes to be characterised in the next few years. Around a third of knockout genes are embryonic lethal and consequently developmental biology is an integral part of the IMPC project. 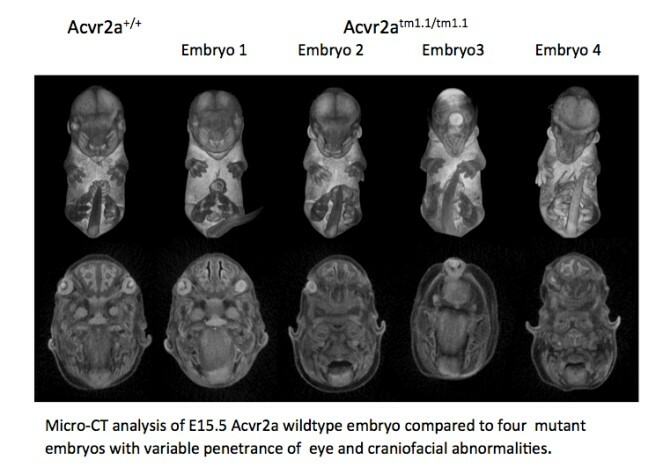 In particular, there is an extensive embryo phenotyping pipeline that includes systematic harvest of embryos at set stages, capture of morphology by 3D imaging (OPT or microCT, depending on embryonic stages) and evaluations of morphological abnormalities in mutant embryos. These procedures can allow direct insight into the window of lethality for each mouse line, but they also provide valuable information on gene function. For example, accurate measurements of organ size and shape can be collected using microCT scan data, or macroscopic observations undertaken by a trained researcher. Importantly, all 3D data sets are available to download from the website for further in-depth analysis by specialist researchers. In the last few years the IMPC has made major discoveries about parts of the genome that were up to now unexplored, with novel genes discovered relating to areas such as embryonic development, deafness, diabetes, and rare diseases. Recent high profile publications have included research focusing on inferring mammalian gene function, studies on specific human conditions, sexual dimorphism in mouse research, and even using IMPC data to help in wildlife conservation. 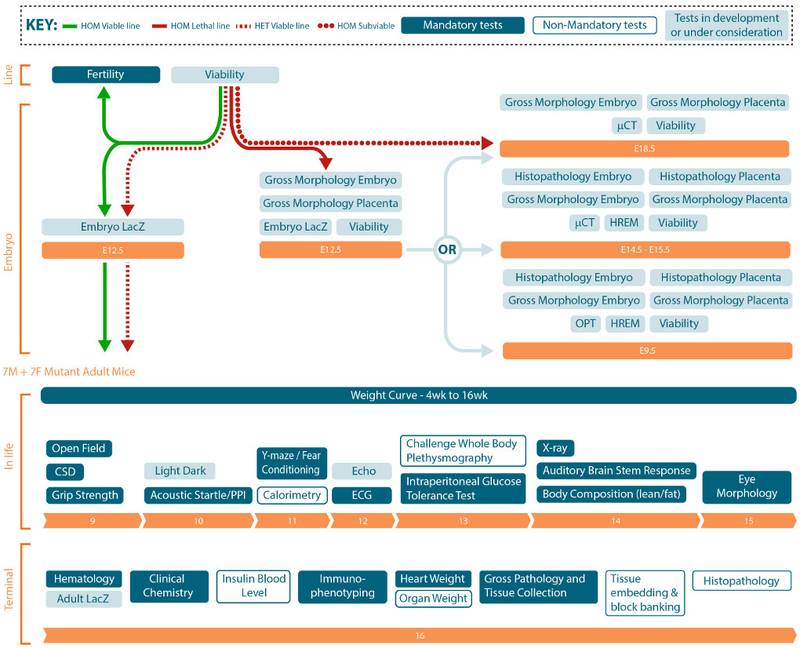 New methods and analysis tools have also been developed under the umbrella of the IMPC, such as PhenStat, an extensive library of functions that analyse the phenotypical data. Another example is illustrated by a recent article that highlights a new bioimage informatics platform for high-throughput embryo phenotyping. Although this platform was built for the IMPC, the software tools that facilitate the analysis and dissemination of 3D images can be used by other researchers, and is available under an open-source licence. Indeed, sharing resources across the research community is a crucial aspect of the IMPC, and mutant mouse lines can be obtained from the website. 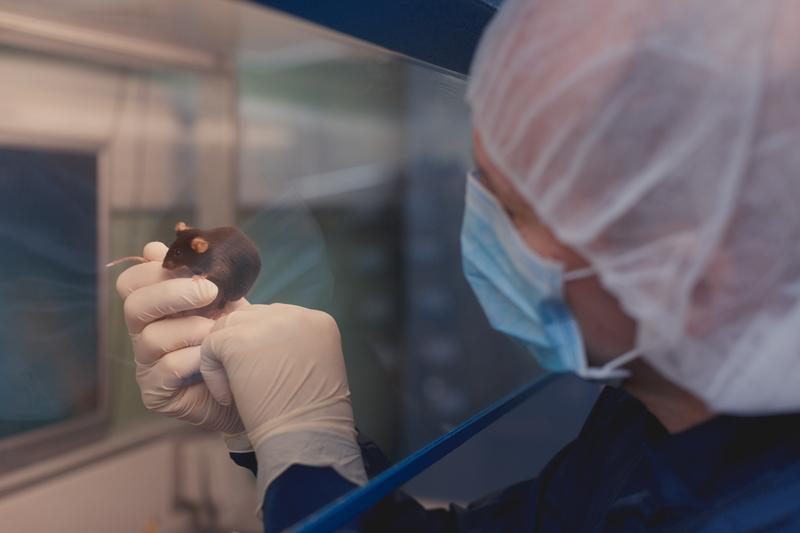 The IMPC is continuing to deliver data and mouse models for the developmental biology field and ultimately will be part of the effort to understanding and treating genetic conditions in humans. More information on the latest research of the IMPC can be found on our blog, and you can search the IMPC database for free at https://www.mousephenotype.org/.